The 7th SUTOL technical conference will be held in Prague on 11 November 2015. I am really happy to announce that this is the first time when we actively ask speakers outside of Czech Lotus community to submit abstracts and (possibly) to come to Prague and do a presentation. Sessions should be presented in English (or in Czech as we expect the audience to be mostly Czech, except for some speakers). I'm very honoured to be selected as IBM Champion in Collaboration Solutions for 2015. I'm very very very happy to be on the list with so many great people. 96 people from all around the world. Two of them from Czech Republic. Congratulations to all IBM Champions 2015! To people who nominated me: Thank you for the nominations! 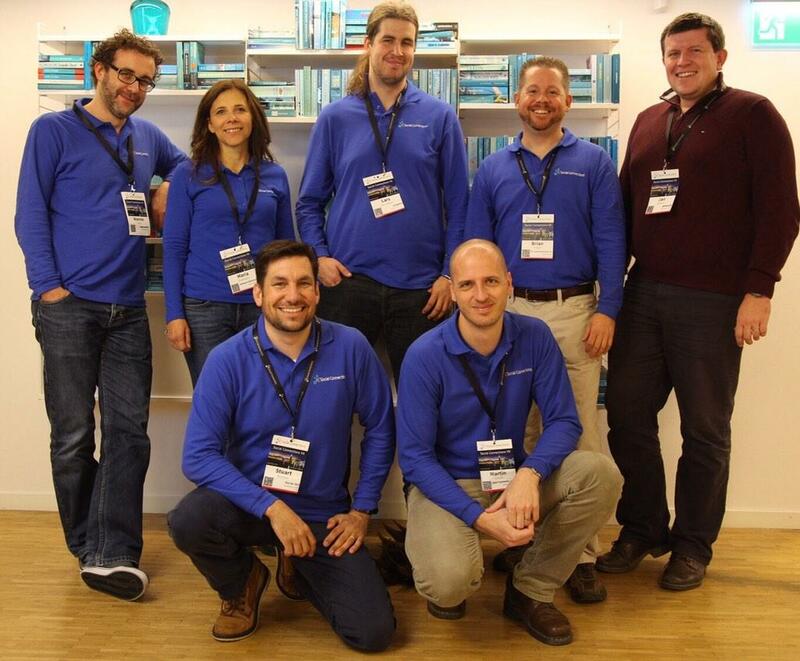 Read more about IBM Champion 2015! Two day conference for over 160 people, packed with IBM Connections related (and social software in general) content. Organizing team had 7 active members, who worked at their free time to prepare and run this event. Thursday and Friday last week in Stockholm at Odenplan 7a conference center we had many great sessions and plenty of networking with people from around the world. Which is exactly what I LOVE about these events. For me the end of the summer means increased number of projects I'm involved in. To finish all of them until the end of the year - that is something I've never managed to achieve. This year seems to be a bit different. Hopefully. Well, that was really great experience to be part of the team organizing Social Connection VI conference in Prague. Our team was working hard to make it happen. All other members were also presenting, which I can only admire. I can not imagine myself doing all that work AND preparing for the session(s) as well. Let alone being able to deliver it. In the beginning of this week I've attended the best European "Lotus related" conference called now Engage, up until last year named BLUG. For the first time it has taken place outside of Belgium in a nice city called Breda located one hour (by fast train) from Amsterdam. Venue was also very interesting - Chassé Theater. I finally had some time to try new "experimental" feature that has been added to IBM Notes in 9.0.1 release. And it is the ability to automatically take repository containing so called on-disk project and build NSF out of it. Which is something you probably do daily, but you have to do it manually in Designer. This year's last digit is going to be the first digit of my age. And that makes me think a lot. Because I always considered age as something not important. I have friends of all ages and have never really cared about how old is a person I'm dealing with. But since my very good friend died 5 years ago and my father died nearly 2 years ago, I started to be aware of age a bit.